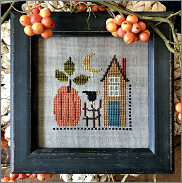 New freebie for Autumn 2018! BIG news at L*K....we are RETIRING! Here's a link to our blog so you can read all about it. If you need more L*K designs, NO WORRIES. You can contact your favorite needlework supplier. We shipped lots of inventory to needlework shops and their distributors. Thanks for all of your support and encouragement over the past 22 years. Love and best stitches to you ALL! Good news! 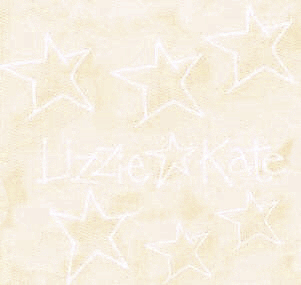 Lizzie*Kate and 123Stitch.com are partnering to bring you more Lizzie*Kate... old and NEW designs. Click here to see all the details. Hey! Visit our Facebook page! Are you interested to see what our daughter Alison "Kate" is up to? Check out her food blog: www.gimmesomeoven.com for some yummy ideas. You can also check in on our younger daughter, Sarah "Lizzie" Wain. Go to www.sarahewain.com to see her newest paintings, pastels and prints. *** If you need to order L*K designs, please contact your local needlework shop.